Posted in Competition, Food, Home. Pancake Day is one of my favourite celebrations of the year. 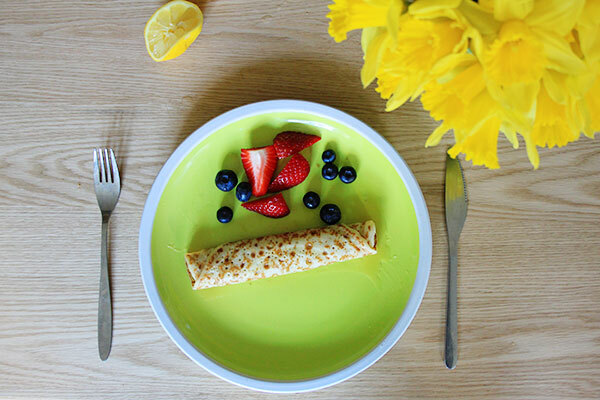 Not only do you get to legitimately eat as many pancakes as you physically can, but it’s also a sign that spring is on the way. Hooray! 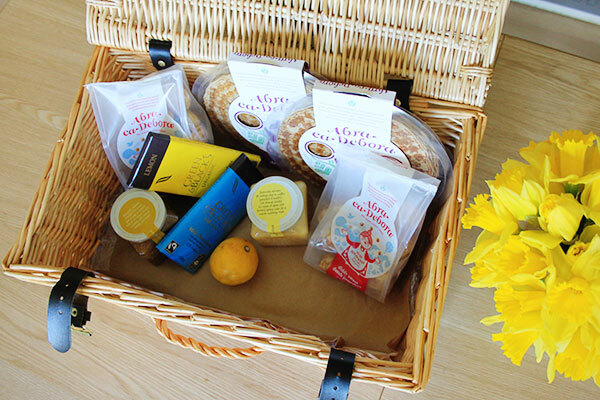 This gorgeous wicker hamper is packed with everything you need for a perfect pancake day – two packs of Abra-ca-Debora (which is the greatest name for a brand EVER) dutch pancakes, two packs of mini pancakes, two bars of Green & Black’s, a lemon and pots of lemon curd and ginger curb from The English Provender Co. Yum! There are some really amazing pancake recipes on the Abra-ca-Debora website – the Ice Cream Fudge Brownie Pancake is particularly interesting – but I usually go classic. 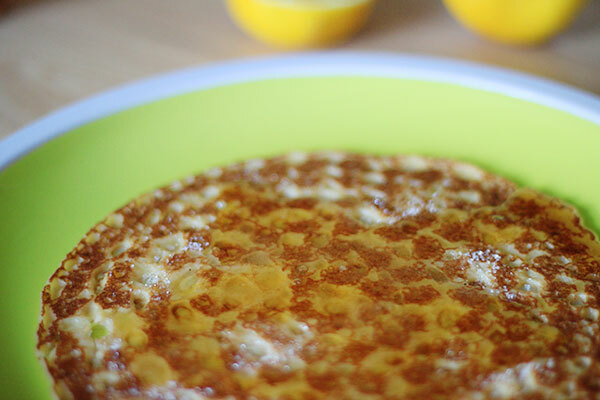 Golden syrup, a squeeze of lemon and a sprinkling of sugar is a hard combination to beat. I tried smothering a pancake in lemon curd and topping with fresh fruit too, which was insanely good. Also, the little mini pancakes are ridiculously moreish and so good to just shove in your mouth at regular intervals. 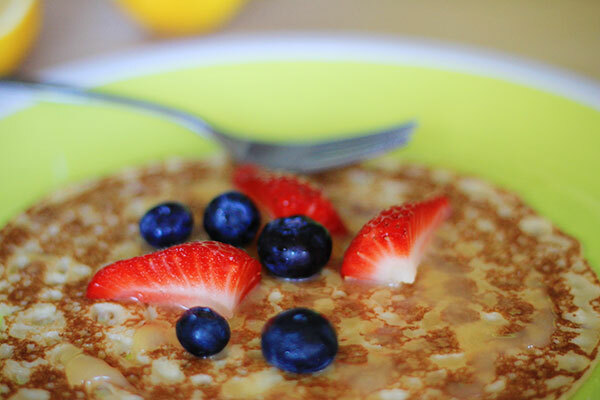 The pancakes are super easy to make – a few minutes in the microwave and they’re done and SO tasty. Rob often makes us pancakes for breakfast but it was so nice to do something quick and easy with these… and no washing up after, either! 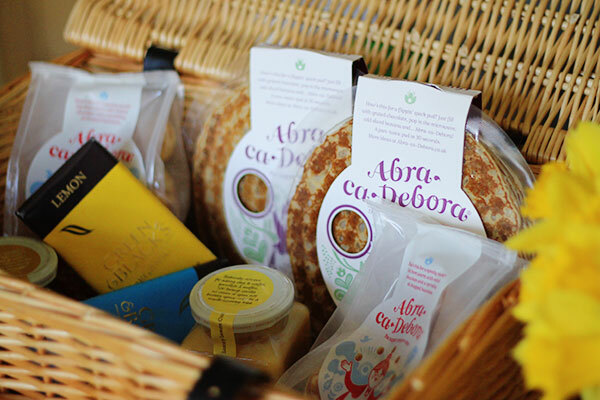 To celebrate Pancake Day tomorrow, I have one Abra-ca-Debora Pancake Hamper to give away. 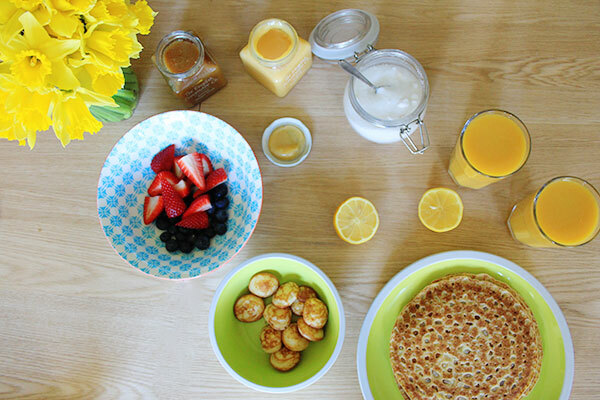 It won’t reach you in time for the day itself, but everyone knows pancakes are for life and not just Shrove Tuesday. To enter, just leave a comment on this post and tell me what you have on your pancakes. Don’t forget to use the widget below to log your entry and gain an extra one. Good luck! Nutella for me! 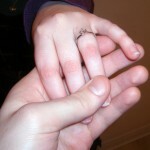 Last pancake day I somehow managed to get a lot of it in my hair, but sooo worth it! Lemon and sugar is my absolute favourite! It’s a classic! You can’t beat it!!! 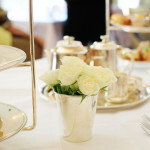 sugar and lemon for me! Lemon and sugar is the combo of champions. It really, truly is. Nutella and orange! or Cointreau!! It’s normally good ol’ lemon and sugar but I’ve bought some Lotus biscuit spread to try this year! You can’t beat proper maple syrup or just simple lemon and sugar. I’m quite boring and just go for a sprinkle of sugar! I Love Vanilla Ice Cream On My Pancakes, It’s lovely when the ice cream starts to melt YUM! Like many others here, my favourite is the classis lemon and sugar. Bacon and maple syrup NOMNOMNOM. I hope I get home from work at a decent hour tomorrow to make some!! 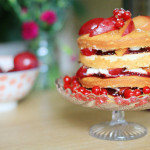 jam and cream…a la scone…. Maple syrup or old skool lemon! Maple syrup and bacon, mmmmmmmm. I squeeze fresh orange juice on to mine! Nutella and Banana Slices always, never anything different. OJ and sugar for me! Nutella and banana slices always, without fail. Lemon and sugar. The old ones are the best! lemon and sugar on one and normally chocolate spread or ice cream on the other. I like lemon and sugar. Banana, cream and 85% chocolate grated on top. Good old classic lemon and sugar for me! Maple syrup and vanilla ice cream, just so good! Warm nutella, strawberry slices and a sprinkliing of sugar! Mmmm! warm banan & maple syrup! I like savoury ones, my favourite topping is smoked ham and Gruyère cheese. SUGAR AND GOLDEN SYRUP AND LEMON!!!! Ham egg and cheese – ah-maz-in! I swear I was really trying to leave a comment…I guess the widget is too advanced for me….I love a classic butter and maple syrup on my pancakes…and blueberries! Lemon and sugar is my favourite! I’m not a fan of pancakes but the kids and wife are. They love the standard Lemon and sugar! really good quality vanilla ice cream. I have a thing for it at the moment. Lemon juice and sugar for me – although I did discover putting a thin coating of lemon curd on with sugar makes it even more yummy! I usually have lemon and sugar! good old fashioned lemon and sugar of course! 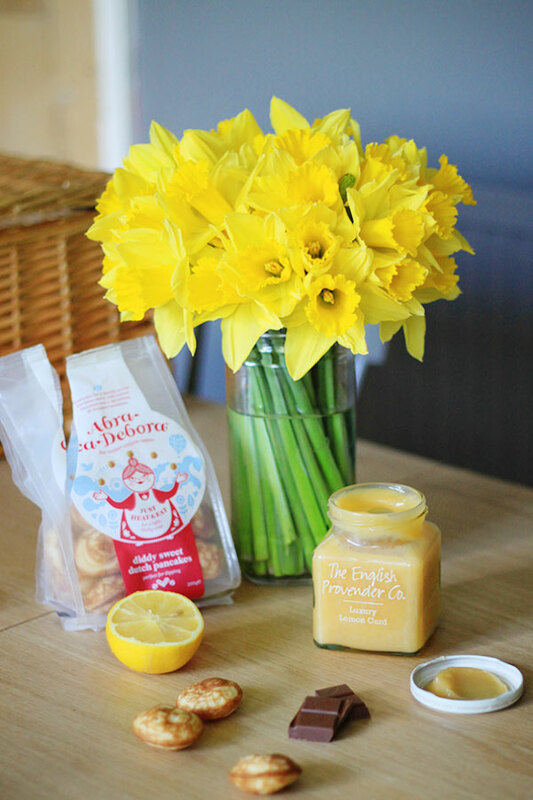 fresh lemon juice & sugar – although that lemon curd looks delicious! leomn and sugar , bucket spinach and riccotta is yum! Lemon and sugar will always be my favourite but peanut butter and banana is delicious and I LOVE peanut butter and chocolate spread- it tastes like a melted Snickers bar! I normally have lemon and sugar, but have seen a reciped for salted caramel and pretzel pancakes, so will try that tonight! Lemon and sugar or squirty cream, berries and some choccy sauce all rolled up for one big dose of yum! I love a savoury pancake – lots of lovely shredded ham, melty cheese and mushrooms. I have lemon & sugar cos it’s my favourite! Ice cream and chocolate sauce! I just have sugar and lemon. I go for maple syrup but occasionally I just like butter. I’m a massive fan of staying simple with the lemon and sugar but Jim made lobster pancakes last time we were together for Pancake day. Yum! I’ve just had red onion, sweet chili sauce and sweet corn. I have golden syrup on mine. I tried Pinapple icecream (which MrC made nom nom) and choclate suace it was feast for the tastebuds.